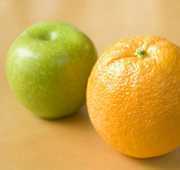 Comparison shopping is one of the hottest things you can do online. No need to spend hours driving from store to store, ask experts’ and friends’ recommendations to find the best product to suit your needs and wallet. Find the best free online tools below that offer handy ways to compare any product prices, user and expert reviews and specs. PriceGrabber lets members add and see others’ reviews and ratings. The site offers a very handy search option: you can sort the search results by price, popularity or rating. The sidebar lists multiple options allowing you to refine the results: top manufacturers, price range, item specifications, etc. 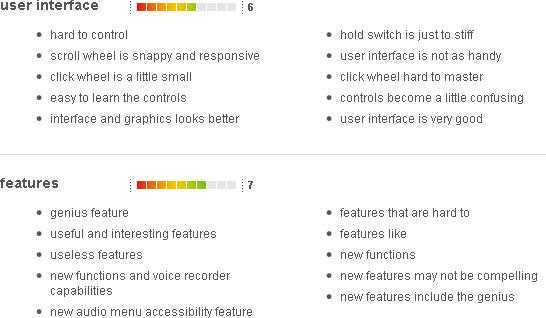 You will also be able to see top searches others users are likely to use. Alatest has a very handy search suggestion option that provides you with the list of search hints as you type. The site also saves your recently viewed items and allows to compare them any time. 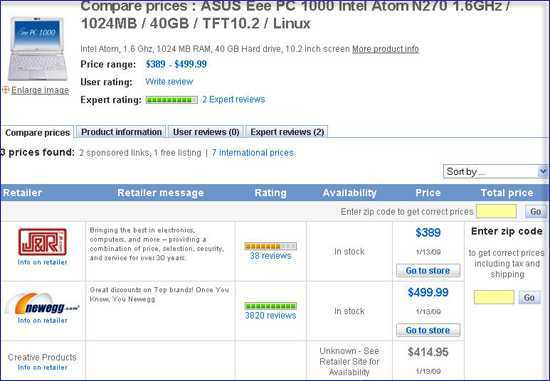 You will also be able to compare prices for one product across several stores. Overall comparison is performed in the form of a huge table allowing you to compare all core features, user ratings and reviews and, of course, the prices. 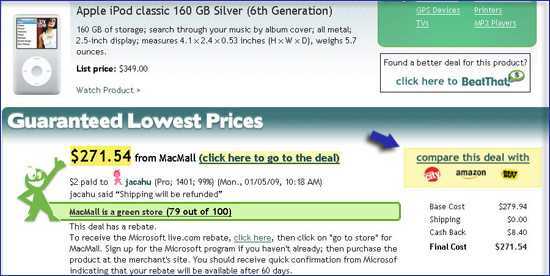 BeatThat lists user-submitted deals and allows you to compare deals with Amazon and BestBuy. 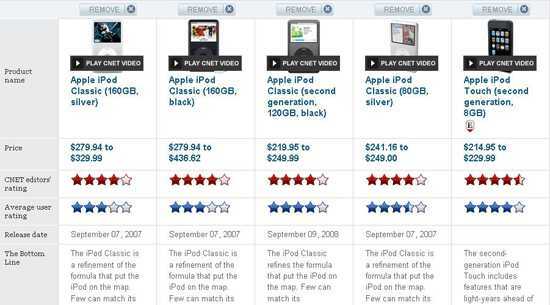 CNet represents product comparison in the form of a table containing item photos, prices, ratings, descriptions and core features. 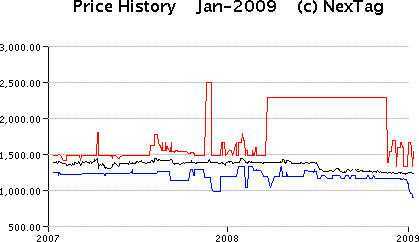 PriceRunner allows to compare prices offered by different retailers (just click “price range” link). You will be able to see each retailer’s user rating, price and even product availability. 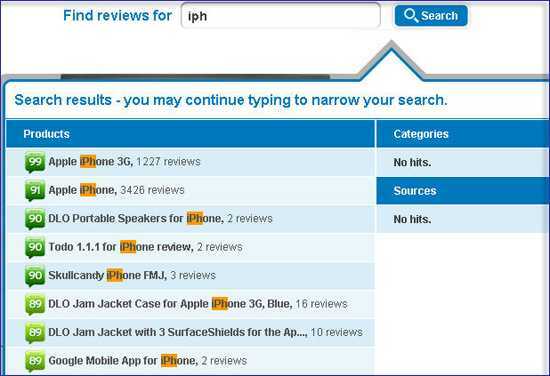 The site lists both users’ reviews as well as reviews given by ‘experts’ (aggregated from other product review sites). 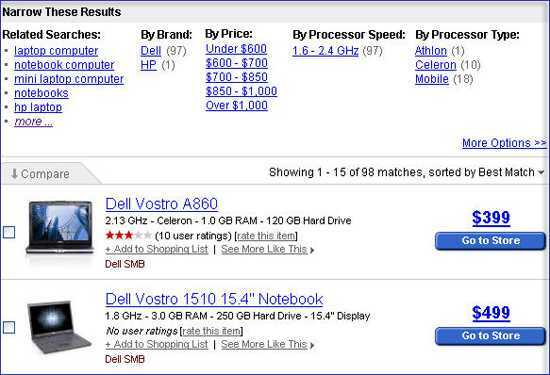 The site also offers a handy “compare side by side” feature listing product features and letting you choose. Search results can be customized in a number of ways: view results in a table, grid or list. 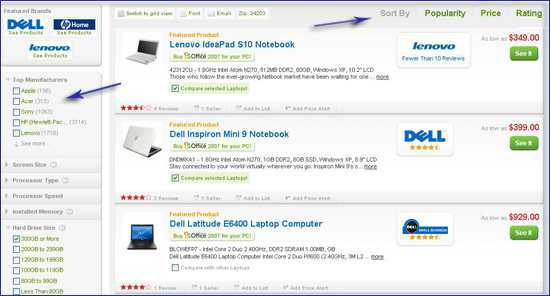 A number of sorting options are also available: by popularity, retailer’s name, price, user rating, etc. NexTag has a pretty nifty advanced search option that allows to narrow search by price, by brand, by product specifications or suggested keywords. You can also set the price alert for any product you want and get notified when the item’s price reaches or falls below your target price. When registered, you can add items to your shopping list, compile your wish lists and save your recent searches. Apart from that you can also see other members’ product lists. What Does Your Smartphone Say About Your Personality? If you need to check a price while you are at a store, a quick and easy way is to use the priceTrust app on your iPhone. http://www.simplifydigital.co.uk is a pretty good service too. I use it to compare broadband but it’s for all digital services, HDTV, home phone etc.